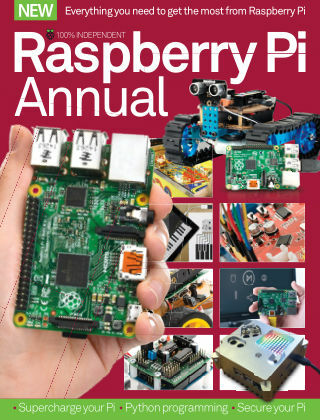 With Readly you can read Raspberry Pi Annual and thousands of other magazines on your tablet and smartphone. Get access to all with just one subscription. New releases and back issues – all included. We invite you to join the Raspberry Pi revolution. 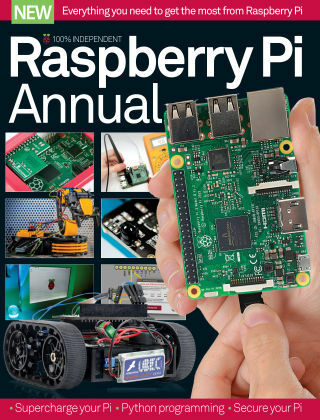 Our second Raspberry Pi Annual comes out as Raspberry Pi gears up to celebrate it’s fourth birthday and the staggering 5 million units that have been sold so far. In this book we’ll show you how to set up, supercharge and hack your Pi. We’ll demonstrate how to start programming with Python. If you’ve ever wanted to build your own Raspberry Pi robots, we have all the tutorial files you’ll need. Featuring: 20 Raspberry Pi projects - The greatest Raspberry Pi hardware hacks. 10 awesome Raspberry Pi upgrades - Unmissable add-ons for your Pi. Build a Raspberry Pi Minecraft console - Program and play Minecraft on your own RasPi console. Our top Raspberry Pi robots - Discover the best robotics kits.